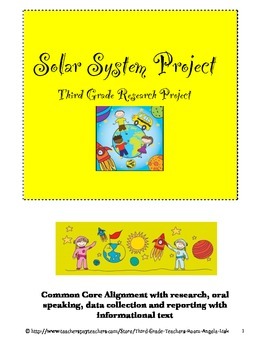 Third Grade Common Core Aligned Solar System Presentation Project. Students will work with a partner, small group or individually to collect facts and information about their object in the solar system. Easily modified or adapted to meet needs of second, fourth or even fifth grade classrooms. 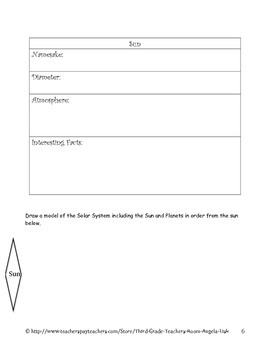 They will create a model of their planet or sun and then present their findings to the class in which students will fill in a data collection sheet of information from every presentation. 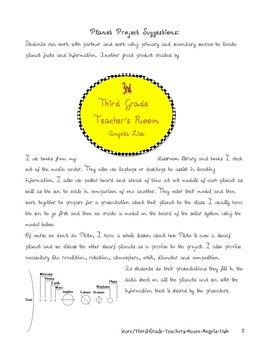 Teacher and student friendly guided notes to collect and display information on graphic organizers.